Following the civil war, many children saw their rights violated. The situation remains difficult today because of a lack of appropriate sanitary and medical infrastructure; this has harmful consequences for the lives of children. Facing difficult living conditions, children must learn how to grow up in a post-war environment. 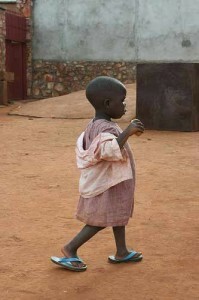 Burundi is one of the poorest countries in the world. More than 68% of the Burundian population lives below the poverty line. This poverty has terrible consequences for children, who see some of their rights violated. In Burundi, around half of the population has no access to drinkable water. Numerous children, most particularly those living in rural areas, are forced to hydrate themselves with unclean water. This has serious consequences for the health of children. 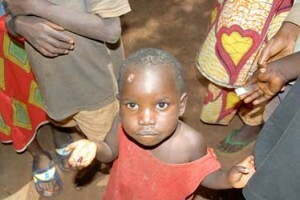 The infant mortality rate in Burundi is high and hope for life particularly low. In Burundi, the huge lack of medical hygiene, infrastructure, and materials as well as qualified personnel facilitates the spread of diseases and viruses. In particular, cases of polio have been identified. To deal with this problem, a vaccination campaign has been implemented in order to eradicate the virus. Other sicknesses are widespread and sometimes seriously affect the health of children: diarrhoea, malaria, infections… HIV is also extremely virulent and many children find themselves orphaned by or even suffer from AIDS. Only 71% of children are educated even though school is mandatory until the age of 12. 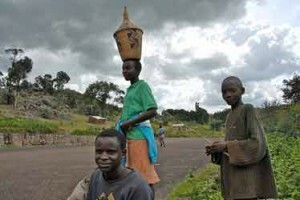 During ethnic conflicts, numerous Burundian families had to flee their country to take refuge in neighbouring countries. Today, a large number of them are coming back to Burundi with their children. Child refugees raised in other countries often do not know French or even Kirundi, the two languages taught in Burundi. The educational system must do everything possible so that children can attend school by progressively removing the difficulties associated with language acquisition. In fact, education of children is not only a way to stabilise, but also to re-establish and maintain peace between the communities affected by the conflicts. 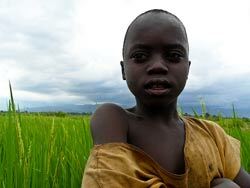 Numerous Burundian children are victims of physical or sexual violence or abuse. Many cases are never reported because children fear reprisals and do not always have access to facilities allowing them to report the violence. Most of the time, children are victims of corporal punishment in their families or their schools. These victims can be terrified of the idea of returning home or going to school. These practices are common even though the government has forbidden corporal punishment in public schools. The problem of child trafficking in Burundi is, unfortunately, still a reality. Too many children are still exploited for financial gain. The most common practice is prostitution. Burundian legislation forbids prostitution and introduces sanctions regarding those who exploit these children. However, the number of child prostitutes is still rising. The government must make additional efforts in order to eradicate prostitution. Close to one child in five is forced to work to support the needs of their family. These children do not only work on family farms and on industrial plantations but also in the services of the informal economy. Generally, young girls work for other families as domestic servants. During the war, numerous minors were imprisoned without a pronounced judgement and sometimes with no motive. In fact, as soon as one of the parents was imprisoned, the children were also. Burundian justice has proved irregular regarding their treatment, with these children remaining behind bars for years. Their state of health degrades over time because of the malnutrition and dehydration that they must experience every day. Additionally, overcrowding and poor sanitation in Burundian prisons promotes the spread of diseases between children. The government must implement an efficient judiciary system so that each child imprisoned without motive can regain their freedom. During the civil war, numerous children were forced to join rebel groups. A majority of them have since returned to their homes. However, following the horrors they experienced, it is necessary that they receive psychological and medical assistance. Efforts have been made by the Burundian government in order to demobilise former child soldiers and to reintegrate them into their community. With this objective in mind, their education is free and funds in kind have been given to them. 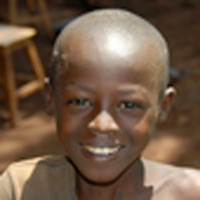 Burundi is one of countries most affected by the AIDS. In fact, more than 1.8% of the population is a carrier of the HIV virus. This plague has serious consequences on the lives of children; around 120,000 children are recorded to be orphans following the death of one of their parents because of AIDS. Furthemore, 400,000 other children orphaned by the war live in the streets. Few structures have been implemented to receive these children who, as a consequence, experience great difficulties in gaining access to water and food. Burundi must take action regarding the registration of children because only 60% of births are registered. This governmental failure has negative consequences for children. A child who is not registered with public services will not be able to attend primary school. 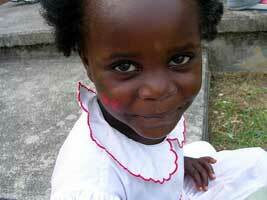 In addition, an unregistered child will not benefit from medical care that is normally free until the age of 5. These children will not be able to exercise their rights and will be considered invisible in the eyes of society.